There are many ways that chiropractic can help your joint stiffness and soreness. Spinal adjustments and posture correction are two of the techniques that I commonly use. I have been successfully helping patients in Sunnyvale, California, with joint soreness and stiffness for many years, and they continue to remain pain-free. I know that I can help treat your pain, so why live with it any longer? If you are suffering from joint pain and stiffness, are tired of taking medication, and do not want to undergo invasive and painful surgery, there is an alternative. Come and see me at my office, which is located at 260 S Sunnyvale Ave, 94086, and I will get to work on creating the best course of chiropractic treatment for your condition, and see to it that you live a pain-free life. #SunnyvaleCA Hello California! My name is Dr. Tropea and I want to help the people who live in and around Sunnyvale to deal with carpal tunnel syndrome. As a chiropractor in the city of Sunnyvale, I see many of your friends and family members who are also dealing with the horrible pain of carpal tunnel syndrome.After traditional treatments, which can include medications and surgery, fail and you are still having pain and unable to function like you would like to, it is time to come to see me in my office in Sunnyvale and get the relief that you need. What Causes Carpal Tunnel Syndrome There is a bundle of nerves which runs through the wrist, which can become compressed and painful. These compressed nerves can lead to tingling in the hands and fingers and to pain that can be completely unbearable. There are a number of causes for carpal tunnel syndrome and I have treated many cases in Sunnyvale involving all of these. As a chiropractor in Sunnyvale, I specialize in treatment of the problems caused by carpal tunnel syndrome and can help you not only to learn to manage your overall pain, but in many cases, to eliminate that pain completely. I have treated patients who are just starting to experience problems with carpal tunnel syndrome as well as those who have been dealing with it for many years without relief. If you live in Sunnyvale and have carpal tunnel syndrome, no matter whether it is mild or severe, there is no need to deal with the pain any more. If you want to live your life without pain, visit me, Dr. Tropea, in Sunnyvale. I have the knowledge and the expertise to relieve your hand and wrist pain permanently. #SunnyvaleCA Greetings! Allow me to introduce myself. 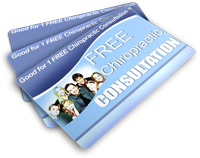 I am Dr. Tropea,a chiropractor located in Sunnyvale, California. Whether you have a new or old work injury, I can help you. The first step of this process is simple: we need to establish the extent of the problem that you are having and design a plan to make sure that you are restored back to health and fitness. Many of your friends and family in Sunnyvale come here to my office at 260 S Sunnyvale Ave, 94086, to get the care that they need. Think about a work injury: not only does it affect your performance, not to mention comfort, while on the job, it can also affect your life outside of work as well. A work injury can last for a long time, especially if it is not treated properly and carefully. In fact, if you have a work injury that is not being treated correctly, you can make that injury much worse. I have helped many people in my Sunnyvale office, and I can help you to deal with your work injury as well. What people do not understand about chiropractic care is that it is an ongoing process that requires the patient to take part in their own care. Dr. Tropea’s office will devise an exercise program that will go along with your professional adjustments and treatments. Do not spend another minute dealing with the pain and discomfort of your work injury. My Sunnyvale office is open during convenient hours so that I can take care of all your chiropractic needs.